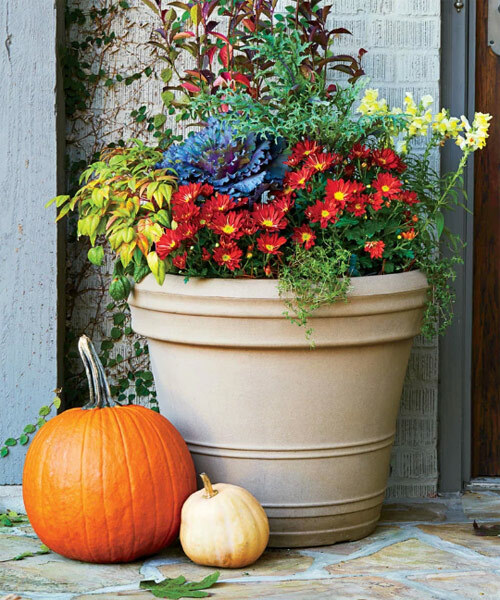 It�s much easier to turn a spent Summer garden container into a Fall planter than you think. 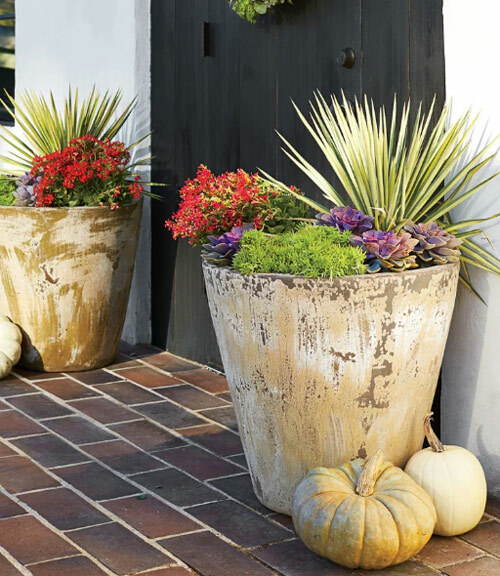 Just follow some easy tips provided below and create wonderful Fall planters. 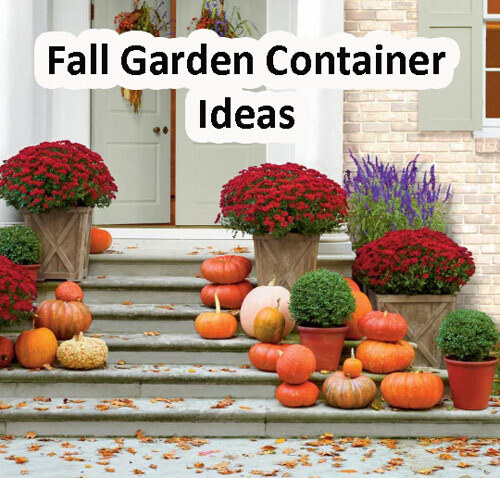 Don�t leave your entryway garden containers empty this time of year. Now is perfect for seasonal color and rust grasses. Evergreen foliage will add life to any type or style of landscape container. When you visit your local garden center you should see lots of Fall colored mums. Bright yellow, orange and reds, deep burgundy, purple and gold. 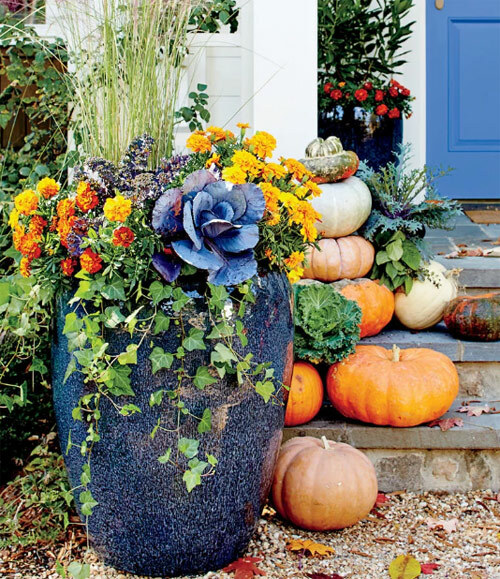 Simply by adding a center mum and surrounding it with pumpkins, gourds and succulents you can create a wonderful Fall planter that will take you into winter and welcome your guest with warmth and beauty. Plant rustic grass in the center of a terracotta planter then surround it with ornamental kale and cabbage with dark deep greens and purple leaves. Instead of just planting typical green houseplants in your entryway planters how about herbs like cilantro, thyme and oregano? They can all handle the cooler weather. Plant trailing ivy, gold mums and red flowers in your garden container of choice and then set pumpkins and gourds around the outside of the pot. You don�t even have to plant anything. Try mixing dark purple and deep green of kale and cabbage and fill around the outside of the pot with mini WHITE pumpkins and create a purple and white display of color. Stunning & elegant! One tip that you can never fail at it to over stuff your pottery. Mix lots of plants, greens and ornamental items without space between them. This creates a full and colorful display. 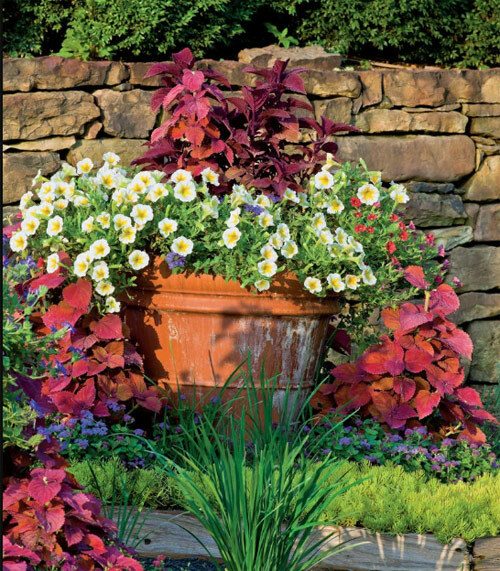 By using a neutral based color planter like terracotta or taupe you can mix tons of colors in the pot and they will all look grand.